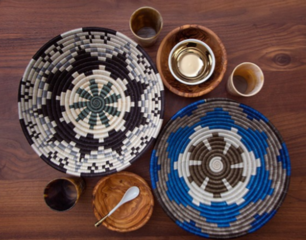 Accompany offers you handpicked ethical design by supporting local communities around the Globe. Actually, 41 places in the world to be more specific. From Cambodia to Mexico. Instead of being consumed by the mass industry, Accompany helps local communities and villages to preserve their culture and unique handcrafted design by supporting the local industry. This also ensures that the traditions and skills can be handed down to the next generation. You get a story behind each product and it matters as you help individuals in their local community to a better life-standard. Your purchase has a purpose! All are uniquely made by individuals deserving the best in life. Read about all the 41 areas Accompany is supporting. The mission of Accompany is to help people. To help them change their lives through a social-conscious industry. This can flip the coin and make a permanent change to the cycles that hold on to poverty in the world as the solution is not temporary. It's thorough and help individuals from the heart. Accompany helps at least in one of the three areas: Handmade and Artisanal Goods, Fair Trade Practices, Humanitarian and Philanthropic Causes. Accompany offers you handpicked ethical design by supporting local communities in 41 places in the world. Accompany helps local communities and villages to preserve their culture and unique handcrafted design by supporting the local industry.